James J. Hickman is a founder and current Chief Scientist of Hesperos, located in Orlando, Florida, which is focusing on cell-based systems for drug discovery and toxicity. He is also the Founding Director of the NanoScience Technology Center and a Professor of Nanoscience Technology, Chemistry, Biomolecular Science, Material Science and Electrical Engineering at the University of Central Florida. 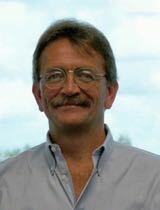 Previously, he held the position of the Hunter Endowed Chair in the Bioengineering Department at Clemson University. Dr. Hickman has a Ph.D. from the Massachusetts Institute of Technology in Chemistry. For the past twenty-five years, he has been studying the interaction of biological species with modified surfaces, first in industry and in the latter years in academia. While in industry he established one of the first bioelectronics labs in the country that focused on cell-based sensors and their integration with electronic devices and MEMS devices. He is interested in creating hybrid systems for biosensor and biological computation applications and the creation of functional in vitro systems for human body-on-a-chip applications. He has worked at NSF and DARPA in the area of biological computation. He is a Fellow of both the American Institute of Medical and Biomedical Engineers (AIMBE) (2004) and the American Vacuum Society (AVS) (2007). He was a Board Member for AIMBE from 2009-2013 and Co-Chaired 6 AIMBE/NIH Workshops on “Validation and Qualification of New In Vitro Tools and Models for The Pre-clinical Drug Discovery Process” held at the NIH Campus, Bethesda, MD (2012 – 2017). Dr. Hickman along with Dr. Michael Shuler, won the Lush Prize, in the Science Category, which Supports Animal Free Testing in 2015. He has 135 publications and 20 book chapters, in addition to 22 issued patents out of 44 total patent applications.